It seems like Buddhist countries know something that Christian countries could benefit from, and vice-versa. Maybe we should all trade places at least once in a lifetime. The joys of cultivating one-mindedness and of following the eight-fold path could greatly benefit most people I know back home, and if all the Buddhists came to America, we could teach them how to drive. 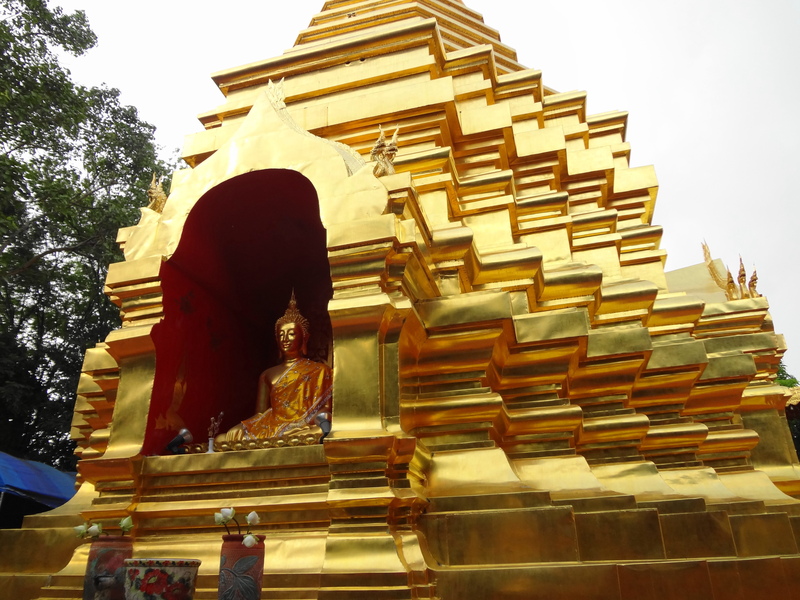 The hills around Chiang Mai are already crawling with Christian Missionaries trying to convert the animist Hill Tribe People, who are of mysterious origin, speak their own languages and worship their own gods. The missionaries are going hut to hut and generally doing their darndest to persuade the rest of this almost completely Buddhist nation to get saved. Even in Oskaloosa, Iowa, bastion of Caucasian Christianity, I haven’t seen any Buddhists going door to door, peddling incense or lotus blossoms. So at this point, it’s obvious that we’re making all the effort. If this ecumenical plan of mine is going to work, they’re going to have to try a little harder to meet us halfway.